A Catalyst article discussing how the human body has to handle all sorts of variations, balancing its inputs and outputs, if it is to work efficiently. 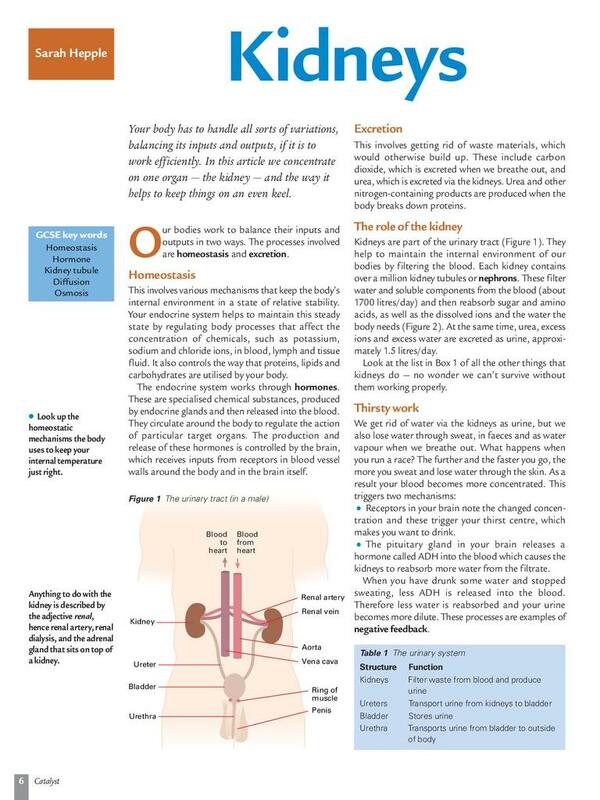 The article concentrates on one organ, the kidney, and the way it helps to keep things on an even keel through the functions of homeostasis and excretion. What happens when things go wrong and the use of dialysis machines is also explained. This article is from Catalyst: GCSE Science Review 2005, Volume16, Issue 2. Catalyst is a science magazine for students aged 14-19 years. Annual subscriptions to print copies of the magazine can be purchased from Mindsets.